When you boil water, there is some small chance that you may walk away from the pot because a small child is screaming, and then you may accidentally forget that you were boiling water and come back to the kitchen an hour later and find only an empty, steaming pot. 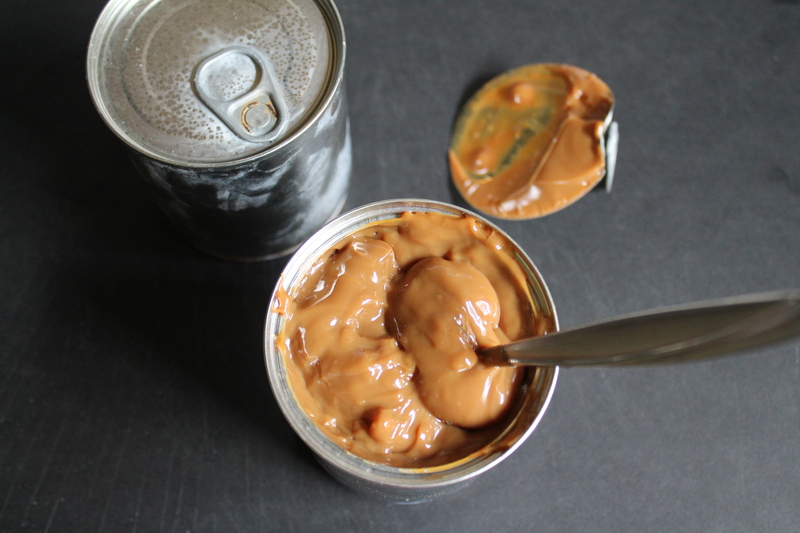 But when you are making dulce de leche in the crock pot, all you do is plop an unopened can of sweetened condensed milk into a crockpot. And fill the crock pot full of water. And turn it on low. And then walk away! I did mine overnight. 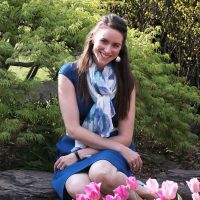 When I finally came back in the morning (after 10 hours), the water in the crock pot was gently boiling and the labels to the two cans of sweetened condensed milk I was cooking were floating on top of the water. And all was well. 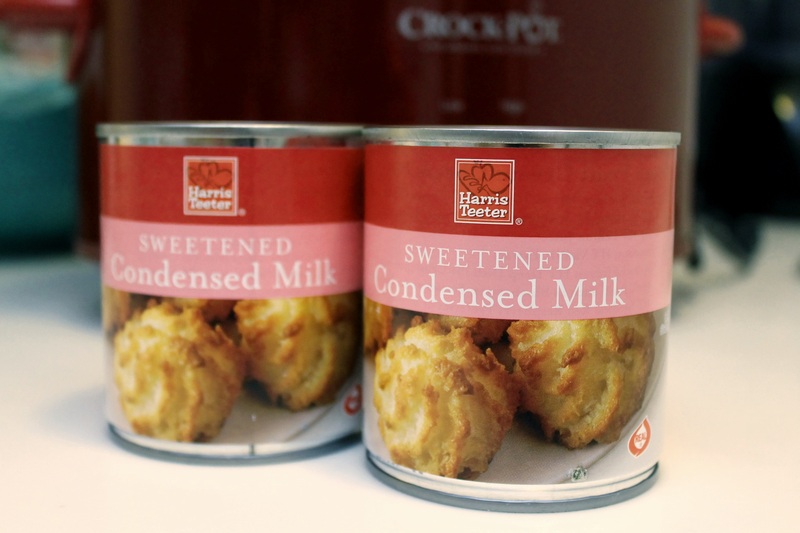 You can cook your sweetened condensed milk as few as 8 hours or as many as 10. And if, like me, you randomly decide not to remove the cans from the hot water right away, because that small child once again wants your attention, your dulce de leche will still be fine, despite the even longer cooking time! 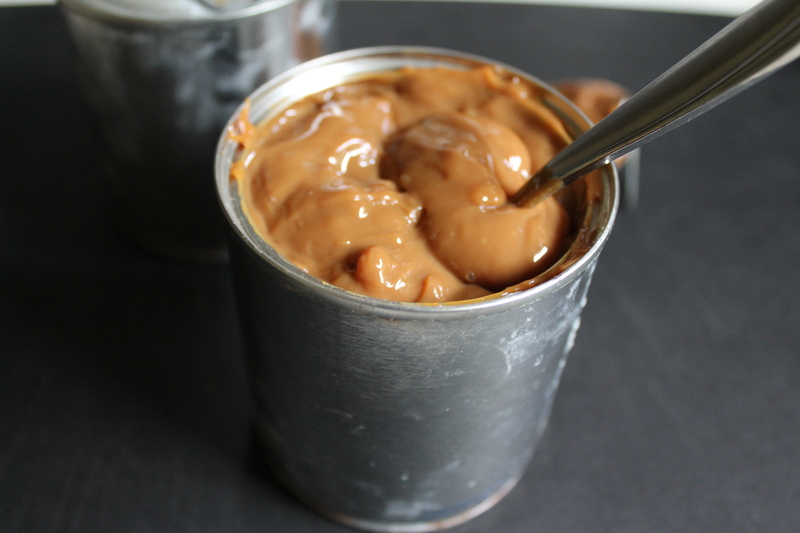 Tomorrow, let’s turn this amazingly simple caramel into ice cream, okay? Place the sweetened condensed milk in the crockpot. 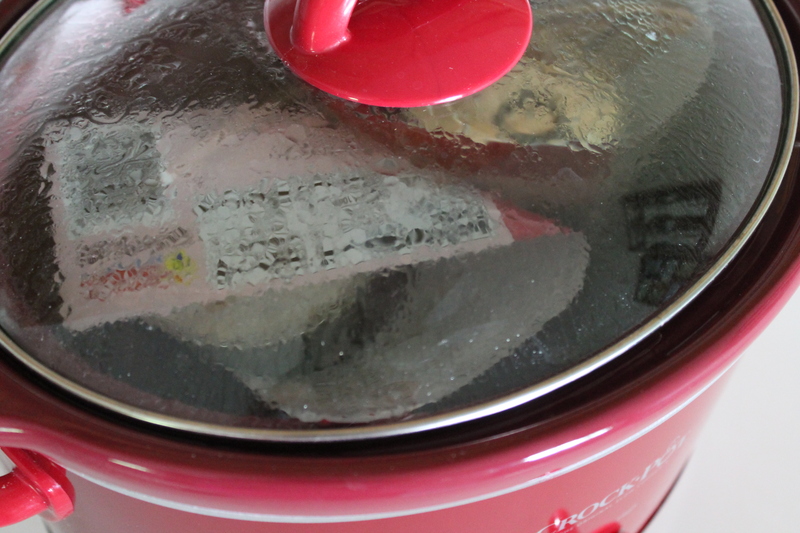 Cover with 2″ water (or as much water as the crockpot can safely hold). Cover the crockpot and turn it on low. Let cook on low for 8–10 hours. Remove the can from the hot water carefully. Let the can cool to room temperatuer, then open and serve as desired. YUM. I’ve done it by boiling before, I wouldn’t have thought to use the crockpot!